If you wish they still made adventure games like they used to, then you can look to the future for a blast from of the past in Reality Incognita, a first-person sci-fi adventure currently in development for PC from indie studio Dire Boar Games. 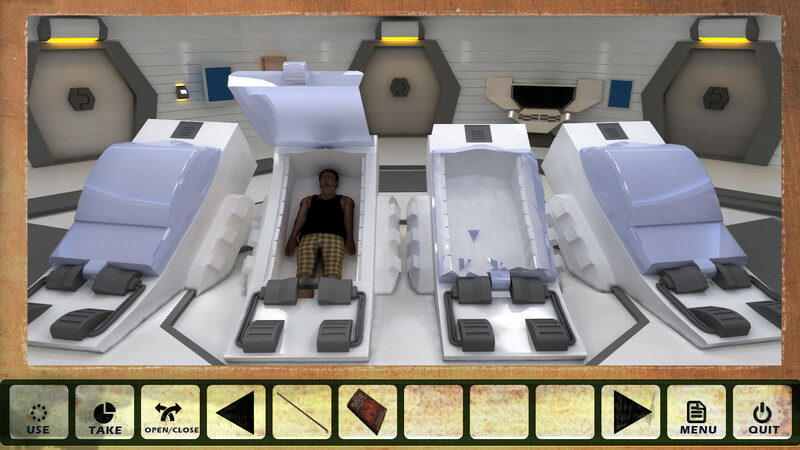 Reality Incognita has a familiar science fiction set-up: Its protagonist, Peri Res, awakes from hypersleep to find herself alone on what appears to be a spaceship – alone except for the dead body occupying the cyrotube besides hers, that is. Discovering where she is and how to escape becomes the primary focus for Peri, but she soon finds her efforts thwarted by an "unseen foe" who is sabotaging the ship and putting her in mortal danger. Time is not on Peri's side as she "races to find out why she has been brought to this strange and vast spacefaring vessel." Despite its futuristic setting, the gameplay of Reality Incognita promises to be purely old-school, blending a first-person slideshow presentation and a SCUMM-lite-style interface with buttons for actions like Use\Take\Open. Even with multiple puzzle solutions, players will need to explore thoroughly and think seriously about how to use the items they acquire, as Peri confronts ongoing threats that will lead to death if obstacles are approached carelessly. 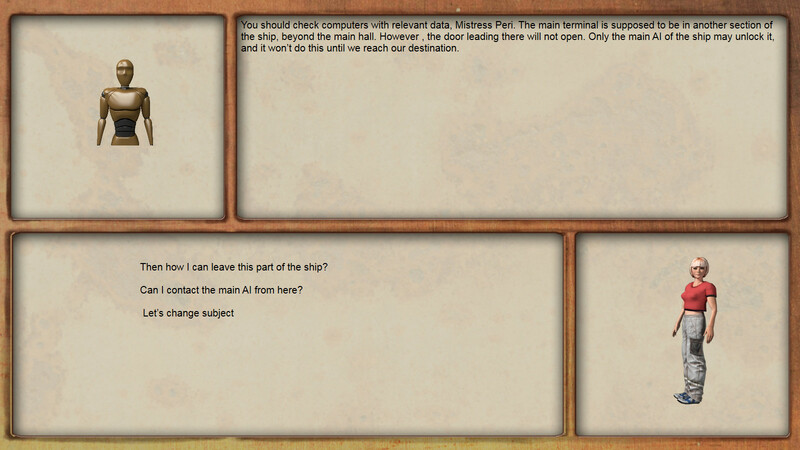 Along the way, there will be an option to interact with the ship's A.I. and robots through extensive dialogue trees, and despite the ever-present danger, the story will "dabble in humor at times" as it goes through numerous twists and turns. If you like what you hear so far, you can check out the game's alpha demo, which remains a work in progress in terms of graphics and interface elements. There is currently no firm timeline for Reality Incognita's release, with a crowdfunding campaign due to be launched very soon, but indie developer Dire Boar Games is targeting completion for PC sometime in the second half of 2018. In the meantime, you can learn more about the game through the developer's website and help support its Steam Greenlight campaign. Peri Res has woken up unexpectedly in an unfamiliar place.